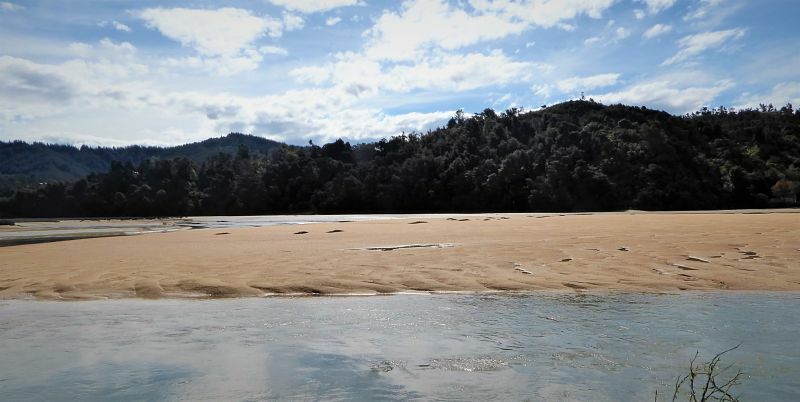 A golden arc of sand backed by a popular holiday resort village, Kaiteriteri is also a launch pad for adventures in Abel Tasman – New Zealand’s smallest but most visited national park famous for its coastal Great Walk. 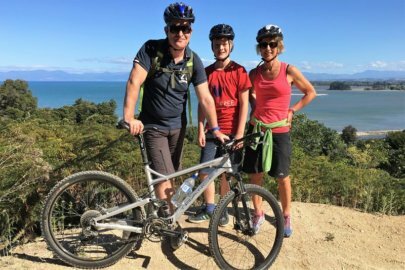 A visit to ‘Kaiteri ‘ (as it is commonly known) usually combines sunshine, beach-time, and ocean-based activities such as scenic cruises and kayaking. 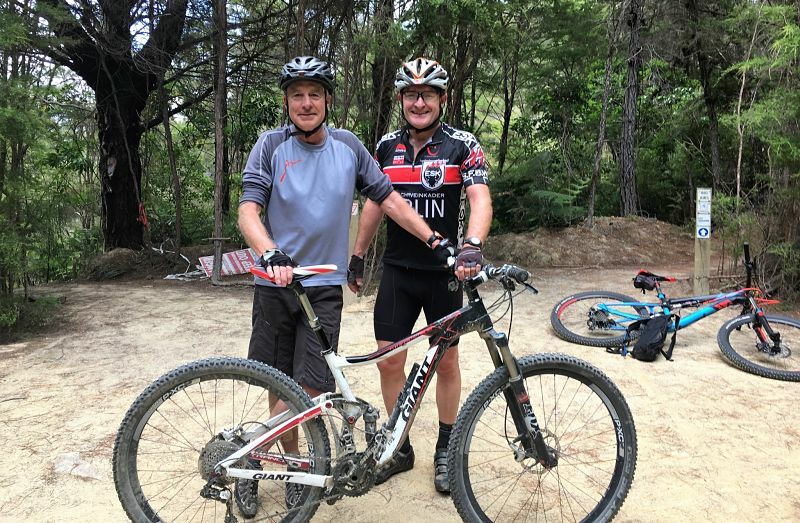 Spread over the low hills of a recreation reserve, tucked behind the village and well away from the busy beachfront, Kaiteriteri Mountain Bike Park is a real gem. 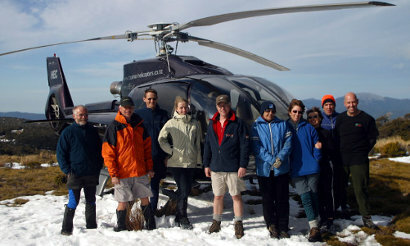 Designed and built by riders for riders, it has more than 25 trails weaving through both native forest and open terrain. 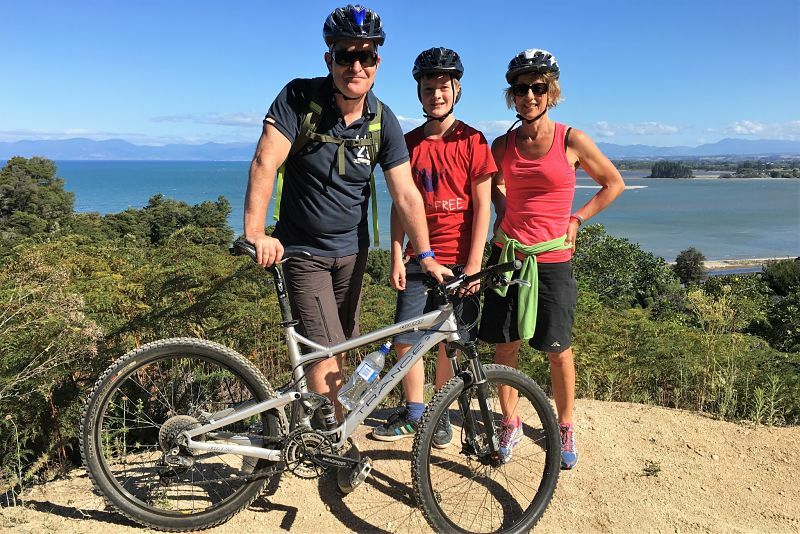 There are adventures for everyone, from family groups looking for holiday fun, to more advanced mountain bikers after meatier treats including steep climbs, swift descents and testing surprises. The classic introductory ride starts from the skills area, from where it’s possible to warm up on a couple of the lower trails before zigzagging up Ziggy’s then climbing via Corkscrew’s switchbacks for almost 4 km to an epic lookout over Kaiteri and Tasman Bay. 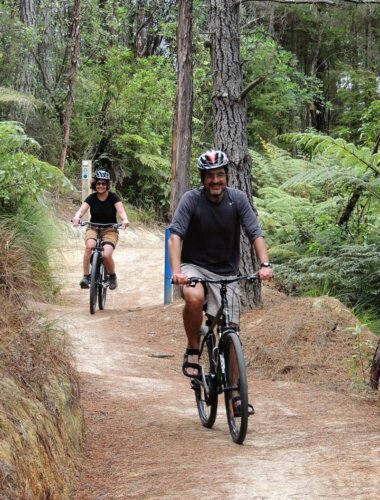 Once the view is soaked up, riders can shred the thrilling, flowing 4 km-descent down Jaws before turning right and climbing along Big Airs, then winding through the beautiful native bush of Skulduggery, which features a 500-year old rimu tree. 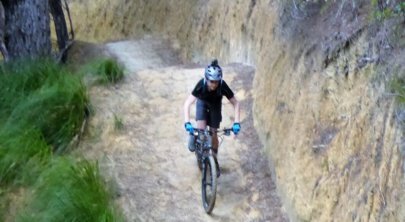 Scoot offers a chance to catch the breath before the zippy switchbacks of Swish and the smooth sweeps of Easy Rider – a sweet way to finish. 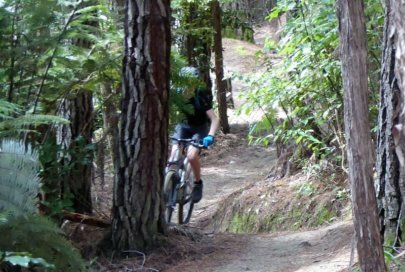 The size of the park mean it’s possible to knock off most of the trails in half a day, but the diversity of trails and good links mean there are almost endless riding options, all of which should leave folks grinning from ear to ear. The mountain bike park’s proximity to Abel Tasman National Park and Kaiteri’s beautiful beach are real bonuses. 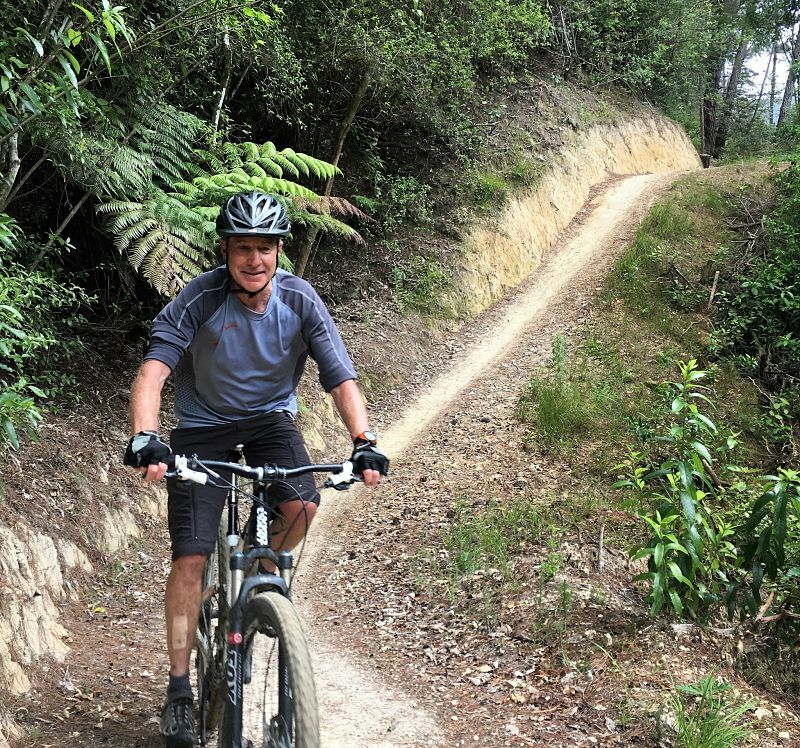 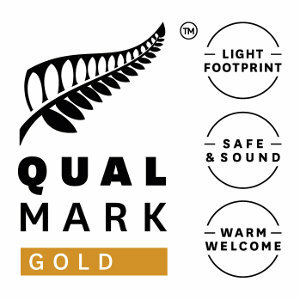 But it is also conveniently located at the end of the Great Taste Trail: a fantastic, primarily off-road trail stretching across Tasman Bay and passing through Motueka, Mapua, Richmond and Nelson.